to taint your bathwater swirling out of the drain. potions, with the made-up woes of wrinkled skin. we, too, seek balance like everyone else you know. We are restless, alive, forever subject to dismantling. the faint sound of your obsolete engine ticking. Collage and oil on paper. 44 x 34 cm. Private collection. Underneath, we are dark-skinned, falling headfirst through a cross-sectioned corrugated carton stained with murder. Our room is no bigger than the world inside your mind. Because there is not enough sun or rain for all of us, it takes years for us to grow a decent root system to anchor us to the ground. And by the time we have grown roots that are mature enough and strong enough to slow down our descent, it is already too late. The wingless elders do not reveal the reason why we are not kept warm; they say that the fall is more memorable that way. Truth is, we would have liked it better if we were allowed to close our eyes and hold our breaths. In freefall, we do not spin, even if we change our center of gravity. We also do not whisper in public. We pretend not to notice the striated walls, the exposed bedrock, the crisscross of rusted rails, the smoke between the slats, the roar of an eroding landscape. From where it peers in, the god of broken things—the yellow splotch at the corner of the ground-sky—looks down on us. But from where we are falling, we easily loom over the shapeless yellow god. Every morning, we watch it turn purplish, slither close to the violet end of the visible spectrum, as if it were cowering. Kristine Ong Muslim is the author of We Bury the Landscape, Grim Series, Lifeboat, and A Roomful of Machines. Her forthcoming books include the short story collection Age of Blight (Upcoming) and poetry collection Black Arcadia. Her poems and short stories have appeared in Confrontation Magazine, Contrary Magazine, New Welsh Review, and elsewhere. 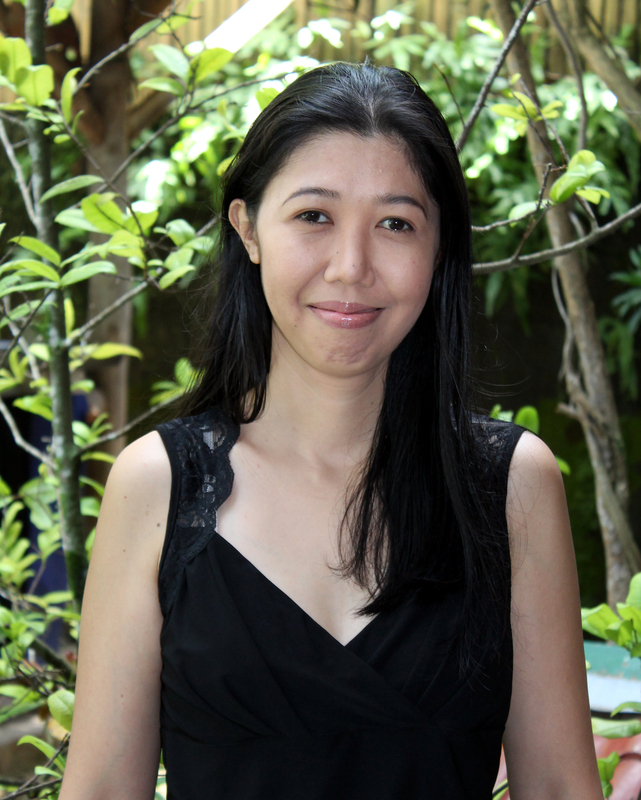 She lives in southern Philippines and serves as poetry editor of LONTAR: The Journal of Southeast Asian Speculative Fiction.